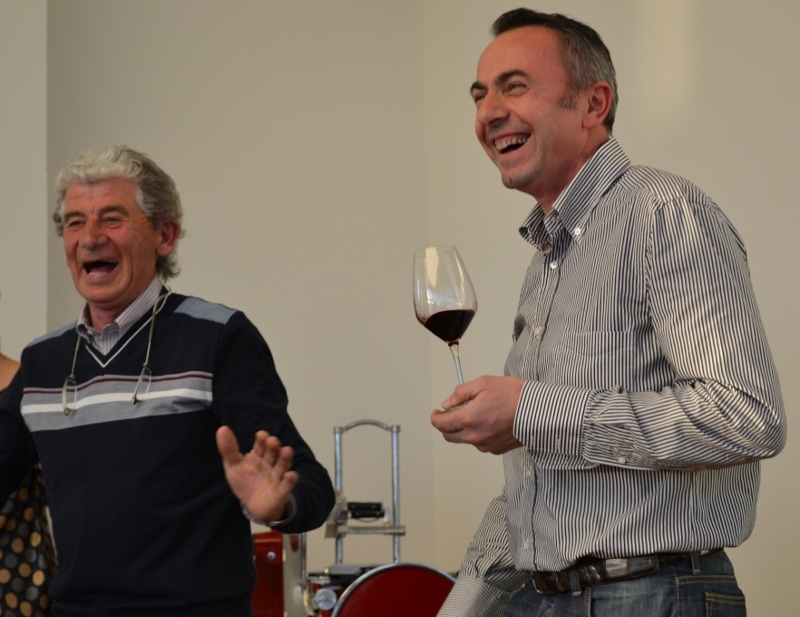 Understandably, Nebbiolo Prima, an annual press and trade event in Alba, Italy, is all about tasting tight, tannic Nebbiolo; but, it is the afternoon visits that offer glimpses into what these wines will become and the people behind the wines that make it magical. While formal tastings focused on the 2008 and 2009 vintages, visits to the wineries showcased older vintages. 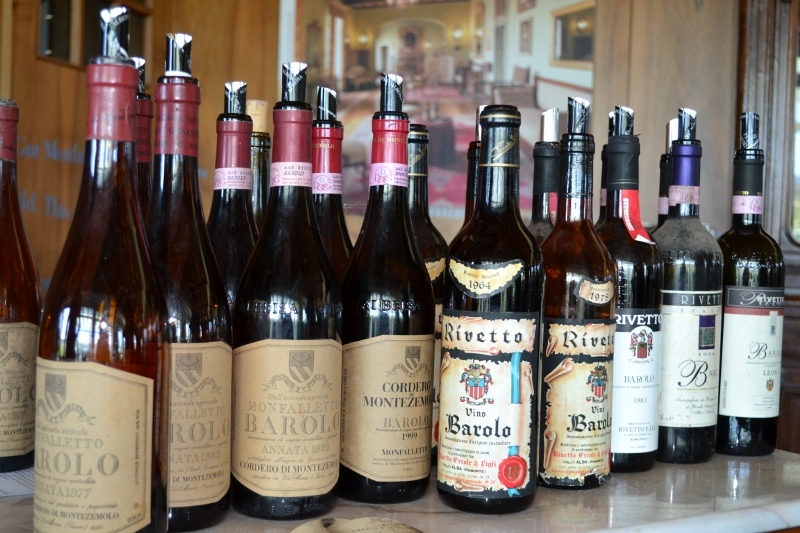 Specifically, Barolo producers Cordero di Montezemolo and Rivetto teamed up to offer a vertical tasting of select wines, permitting both single vineyard and vintage comparisons. 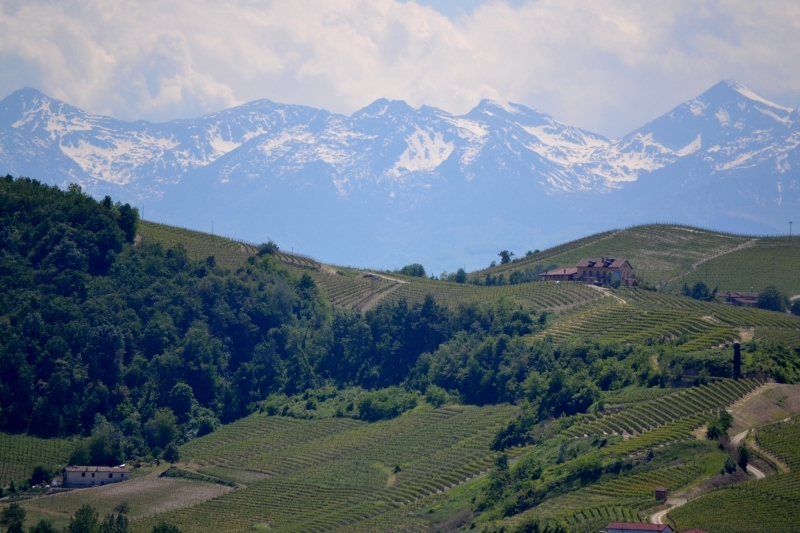 Cordero’s La Morra vineyard, with its younger soils, displayed more feminine and floral wines, ready for earlier drinking due to lighter tannins, while Rivetto’s older, more limestone-rich soils of Serralugna resulted in more tannic wines. The event further contrasted these aged wines, with the youth of winemakers Alberto Cordero and Enrico Rivetto, now taking up the reigns from their fathers. The standouts included the 1958 Cordero and 1964 Rivetto, which, despite their advanced age, were still lively, showing concentrated fruit and complex aromas of earth, tar, dried flowers and cherries. These same two vintages marked important dates for the Scavino family. Speaking in Italian only (he joked that if he spoke English, the vines couldn’t understand him), Paolo’s son, Enrico, clearly recounted the day when his father asked him if he wanted to continue his studies or work in the vineyards. He chose the vineyards; it was 1951 and Enrico was ten years old. Seven years later, the extraordinary 1958 vintage gave him the courage to buy additional land and plant more vines. By 1964, all of the production was being vinified and bottled under the family name. Enrico admitted to having his eye on more vineyards, but daughters, Enrica and Elisa, have asked him to stop—preferring to retain the company as a small, family business. 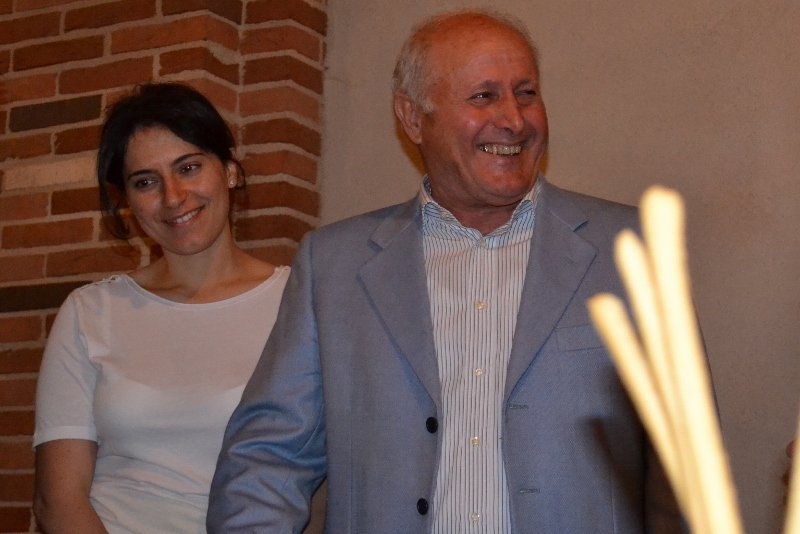 Enrica is responsible for managing the company’s affairs, while Elisa works with her father in the vineyard and winery. Today, the name Paolo Scavino carries significant weight in the Barolo world, but the name Elisa Scavino will surely gain prominence as she continues the family legacy. 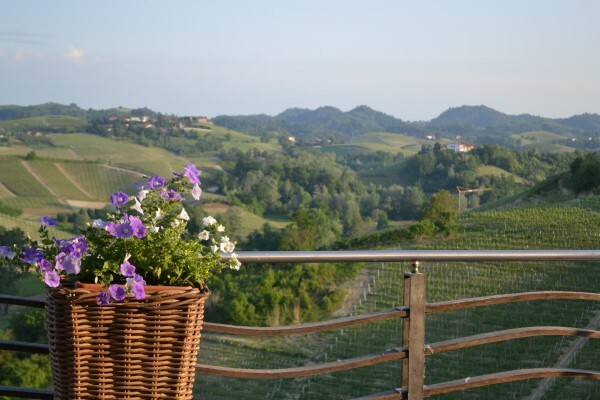 Although lesser known than Barolo and Barbaresco, Roero produces excellent red and white wines and a highly regarded producer in the area is Malvira. Translating as “bad turn,” the name stems from the reference given to the Damonte family’s house, which was designed around a north-facing, instead of a typical south-facing, interior courtyard. Harnessing bad into good, the family chose Malvira for their business name and designed labels that suggest good luck, borrowing symbols from tarot cards. Malvira focuses on the nearly extinct, indigenous variety of arneis. While traditionally used to produce sweet and sparkling wines, the Damontes produce not only dry Arneis wines, but those with ageing potential. It appears in seven of their nine whites, either on its own or as a blend and clearly takes well to lees aging, older oak and/or bâtonnage, while always displaying rich citrus fruit, minerality, good acidity, and full body. 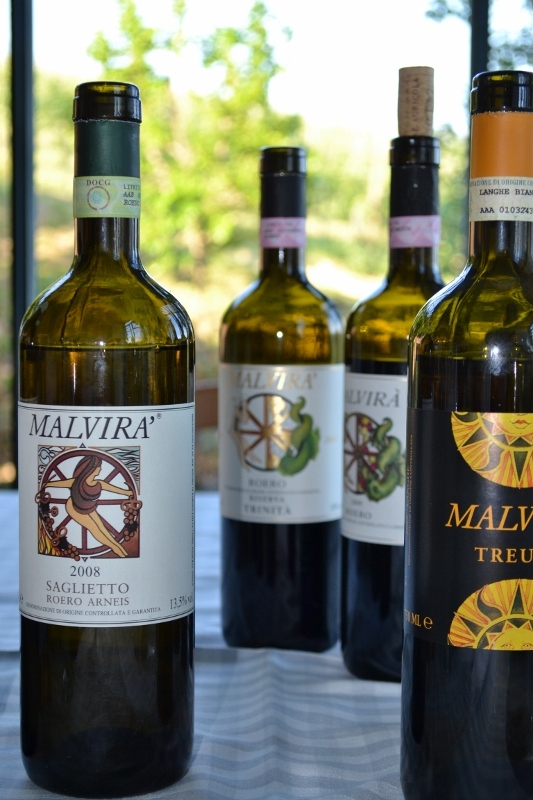 Produced from 60-year-old vines, 2007 Malvira’s Roero Riserva Reneiso is a good example as to why these 100% Nebbiolo wines should become better recognized in the U.S. market. Unfortunately, not all Piedmont vintages are good. Mother Nature is a fickle business partner; one year, she lavishes growers with excellent weather and the next year, she’s not so nice. Piedmont’s 2002 vintage was one of these latter years. To protect their reputations, many producers chose not to make Barolo or Barbaresco that year, but, braver individuals proceeded with business as usual. 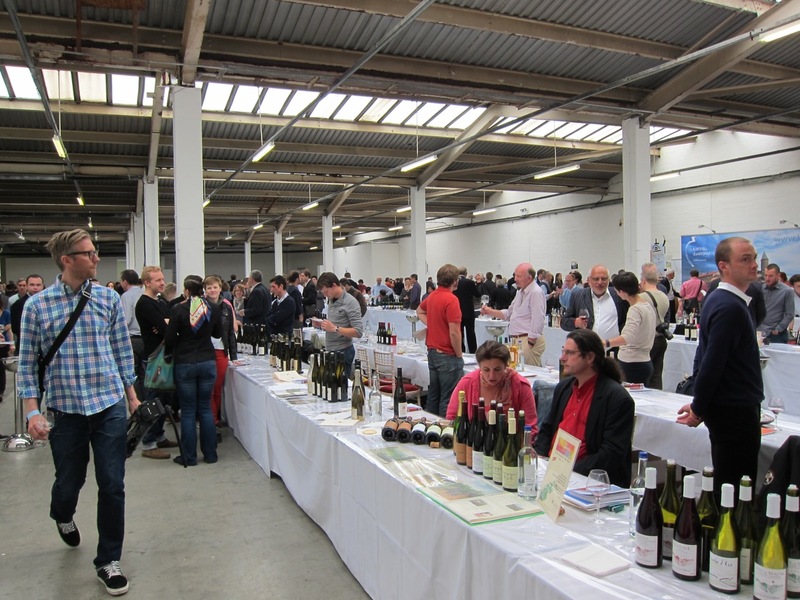 Eager to see how these wines were showing at ten years old, an unofficial consortium of producers used one of their occasional gatherings to find out. Celebrating both his recent return to health and newly rebuilt winery, Domenico Clerico hosted the event, adding to the festive climate. Sixteen wines were tasted blind to permit the attendees to evaluate each wine without bias. As expected with the less than stellar potential of this vintage, some of the wines seemed a bit lean on tannins, but were otherwise quite enjoyable. Domenico’s friend, Giorgio Pelissero presented quite a few surprises with the big reveal. Sure, there was Roero, Barolo, and Barbaresco in the line-up, but was anyone expecting a Grand Cru Burgundy or two? Looking back at our notes, the comparisons between the Nebbiolo and Pinot Noir was extremely interesting, especially since while Mother Nature had been slacking off in Piedmont, she had been on the ball in Burgundy that year. Overall, it was an insightful exercise to see how wines from inferior vintages might fare with time as well as to compare and contrast these grapes. Oh, god, please, stop, over-using, commas.